Play the challenging Wood Catch Ball Game! Just toss and catch the red wooden ball in the wooden cup. How many times in a row can you catch the ball? 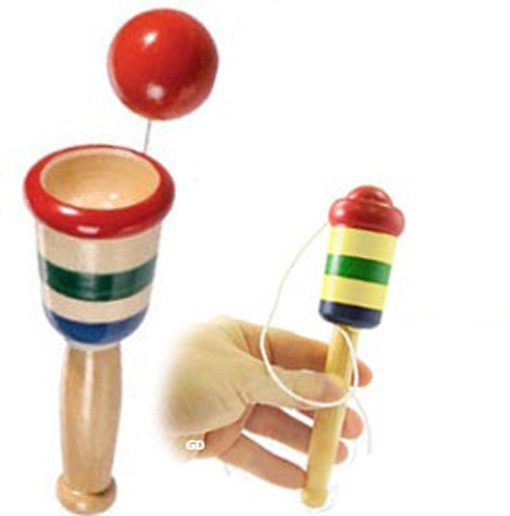 Our classic ball game features a painted wooden cup and handle, red wooden ball and white string. Buy several and have a competition. Classic wooden games are still fun to play.